Chenin Blanc is a variety I have become very fond of. During our trip to South Africa, I fell in love with it. I prefer barrel fermented Chenin over a stainless. There are few makers of Chenin in the United States. 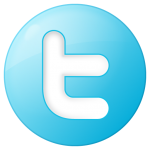 Of the ones I have tried they do not stand out in my opinion. Vouvray is a French region of the Loire Valley in the Touraine district just east of the city of Tours in the commune of Vouvray. The Appellation d’origine contrôlée (AOC) is dedicated almost exclusively to Chenin blanc. Very aromatic with notes of citrus aromas including apple and pear. Medium to light-bodied. The acidity was very balanced. The Chenin was crisp with a slightly sweet mid-palate finish. How much: $14.00 from a local bottle shop. 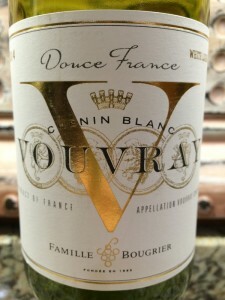 I rated the 2014 Famille Bougrier Vouvray Douce Chenin Blanc three glasses. The slightly sweet white would have been better served after dinner. We drank the wine with our chicken dinner.